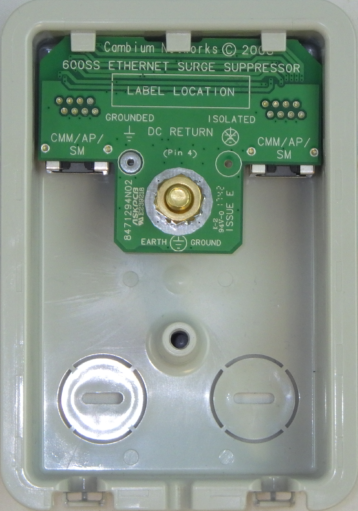 Don’t replace the whole surge suppressor, just upgrade it to GigE ultra high performance. Extremely Robust Gas Discharge Tube allow it to protect CAT5/6 circuits like no other. Recommended for Cambium 450i and ePMP access points. Ultra low capacitive loading preserves Ethernet frame integrity and protects against frame check and cyclic redundancy errors. The circuit is the CAT6-APC in design. The design provides protection for both common (longitudinal) and differential (transverse) mode surges. 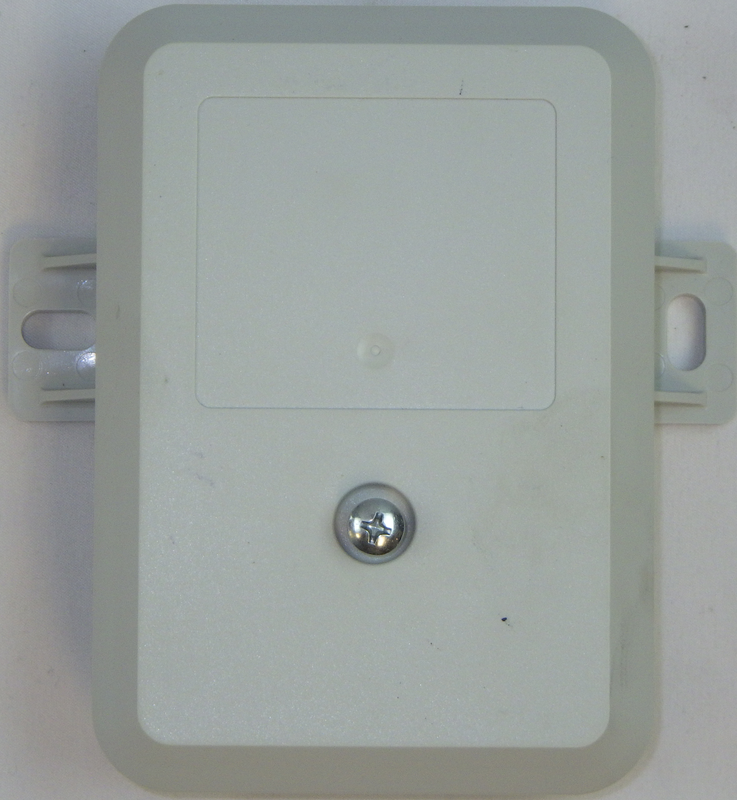 This version supports 802.3af modes A and B. Shielded RJ45 jacks provide grounds and bonding to shielded plugs and shielded cables. 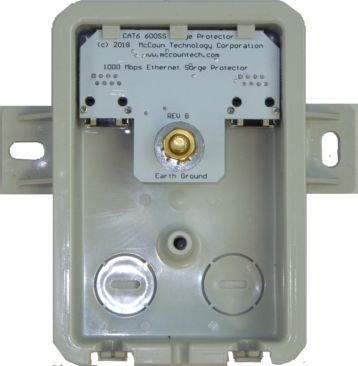 This CAT6-600 SS Ethernet Surge Protector-Suppressor-Arrestor is a direct cross for 600SS and many other outdoor mount surge suppressors; however, this unit but is much more robust than most because of the shielded RJ45 jacks for industrial grounding/bonding and less loading (low capacitance) for the long GigE circuits and greater protection from surges. It is simply a better circuit. 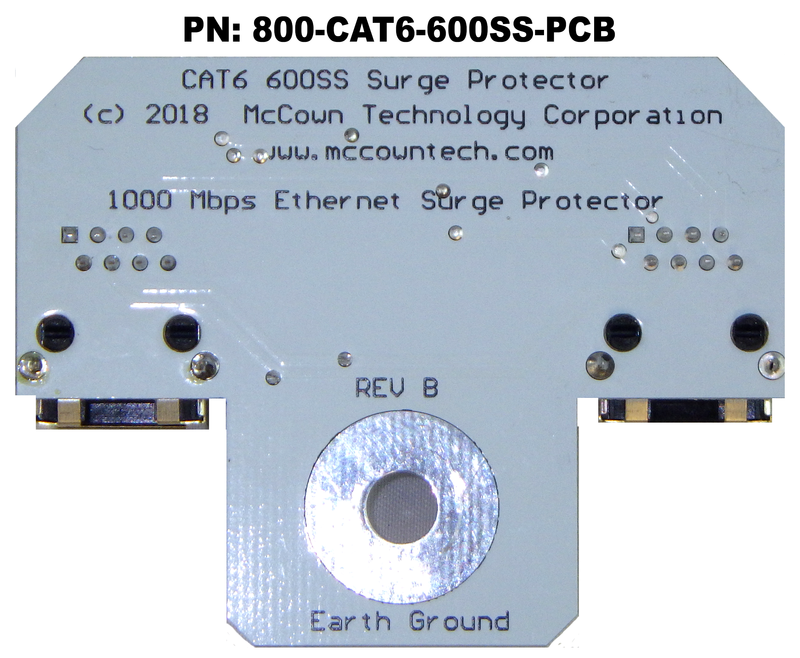 Greater protection for your expensive equipment is provided by the 600 SSCAT6-SS Ethernet Surge Protector. As previously mentioned, shielded and grounded jacks bond shielded CAT5 and CAT6 wiring to the building ground system. This product was originally invented at the request of our WISP customers who had had failures of the 600SS made by by Motorola. This protector is compatible with 802.3af Power-over-Ethernet (PoE) circuits as well as passive POE systems. It supports both PoE mode A and B for power. Upgrading SMs to GigE ethernet.